Have you jumped onto the porridge bandwagon, believing you’re giving yourself the healthiest start to the day? If so, you’re not alone. According to Mintel a quarter of Britons eat porridge very day, with sales of hot cereals nearly doubling between 2008 and 2013. You only have to look at the hot cereals section in the supermarkets to see the shelves heaving with all manner of porridge oats. 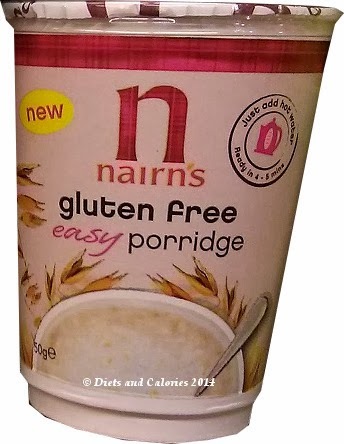 You’ll still find a good selection of traditional porridge oats. But these days many of us are more likely to head for the instant varieties. 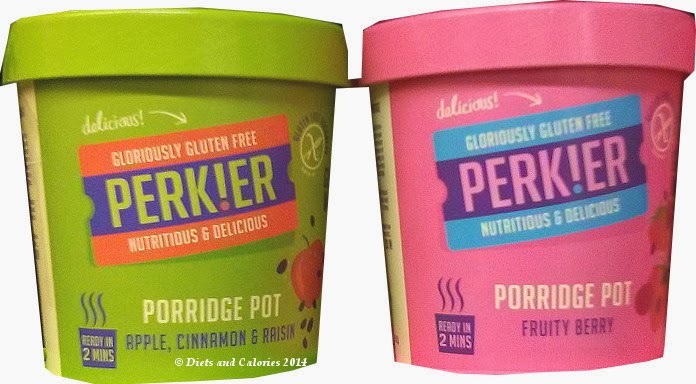 They’re quick to make, transportable and offer a variety of choices for those who want more than plain porridge oats. Extra ingredients include added fruits, nuts and that big baddie SUGAR! Too much sugar is highly detrimental to good health. So how much sugar are you getting in your morning porridge oats? 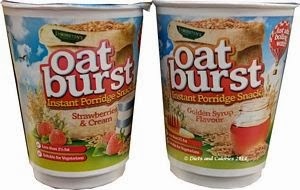 To help you see at a glance how much sugar is in your porridge, I’ve compiled a list of 61 varieties of instant porridge pots which can be found in supermarkets and other stores in the UK. All these porridge pots are made by adding hot water only. Milk powder, sugar and other ingredients are included in the pot with the oats. The list below shows the pot size, number of teaspoons of sugar and how many calories in each pot of porridge. The list is in the order of the amount of sugar. Those highlighted in red are classified as HIGH sugar, while those highlighted in amber are medium sugar. *Note some sugar is naturally occurring in the dried fruits or milk powder. * Note: All nutritional values are correct as at date of publishing and are subject to change at manufacturers' discretion. 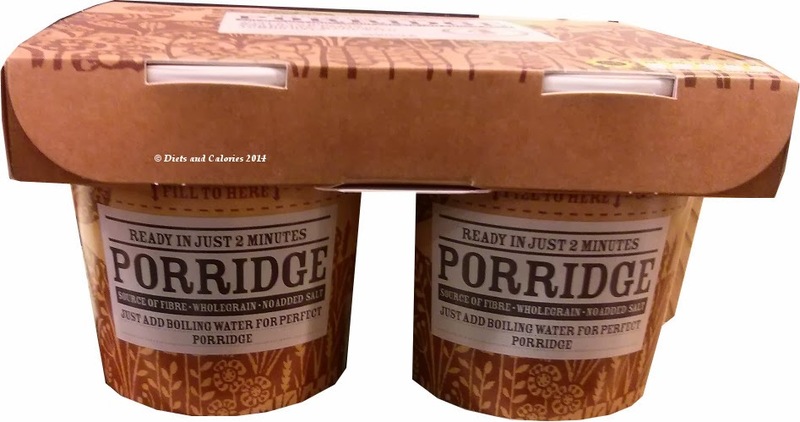 Though these porridge pots are undoubtedly tasty, many do contain a high amount of sugar. How much is too much? Well, anything over 15g per 100g of product is high - that's about 3.5 teaspoons of sugar. If you take a look at Guidelines to Healthy Amounts of Fat, Sugar and Salt, you can see the recommended amount of sugar for women, men and children in the tables displayed. It's great that so many of us are eating porridge, but let's not ruin its health benefits by overdoing the sugar. If you are following a low GL diet (see post), porridge made traditionally with milk or water has a low GL score (your blood sugar levels will remain stable). But too much sugar means this is no longer the case. If you're only concerned with calories, all of the porridge oats listed above should fit in well with a weight loss diet and hopefully this list can help you make an informed choice!